These'll take you around the world. (SPOT.ph) Just take a look around, and you’ll see that Philippine cinema has gotten better on so many levels. From better cinematography to cleaner scripts and even bigger budgets, the local film industry is showing us just what they’ve got under their sleeves. And because we can’t deny how a great movie can momentarily take us away from the real world to somewhere far, far away, we can’t help but name 10 Filipino films that’ll make you want to pack up your bags and be anywhere but here. Fall in love with the refreshing beauty the country has to offer in this independent road drama starring Alessandra de Rossi and Pepe Herrera. We follow the journey of Cielo (de Rossi), a young adult who gets laid off from work while being barely in her 30s. Her story involves going on a trip around the Philippines, sparked by the mysterious letters and postcards she receives from around the country. While we follow Cielo’s journey to discover herself in the film, we also discover the hidden beauty that each destination in the Philippines has to offer. The love team of your teen years, KathNiel, grows up in this strong tale of finding your way wherever you are in the world. Ely (Daniel Padilla), a part-time graduate student with an ex-love he still can’t get over, and Mia (Kathryn Bernardo), a young Filipina who moves to Spain seeking a fresh start, are fated to meet and help each other answer the burning questions in their young lives. The story is interspersed with shots of the ever-romantic Barcelona streets, so much so that you’ll be dreaming of your own solo out-of-country adventure. In this rom-com, we follow the story of Gio (Enrique Gil) who tries to convince his aspiring social-media influencer ex-girlfriend Cali (Liza Soberano) that he’s grown out of his womanizing ways and wants to make things work between them. Unbeknownst to him, Cali is setting up her own plan to see if her ex-lover is sincere in his intentions. The film was shot in South Korea, and you don’t need to be a K-pop fan to appreciate the lovely autumn views of Seoul. Sometimes you can find a great adventure even in your backyard (or, okay, backyard beach in our little archipelago’s case), and Siargao definitely made us want to hit the breathtaking beaches over at the surf island. 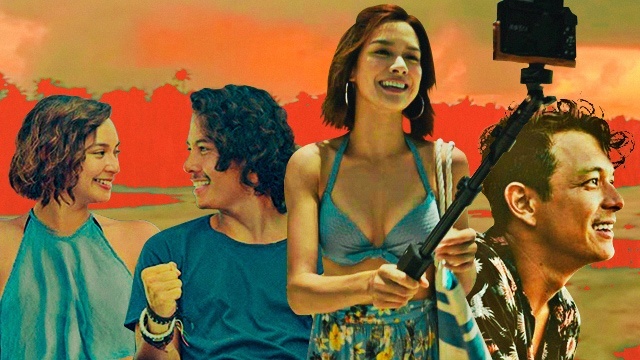 The story follows a burnt-out musician (Jericho Rosales) and a recently heartbroken vlogger’s (Erich Gonzales) stay, learning that—even when the world surrounding you goes with the flow—life’s better when you dive into commitment. Set all around Hokkaido, Kita Kita is a bittersweet tale of two Filipinos set in Japan, whose fates had seemed to be intertwined much longer than recently heartbroken Lea (Alessandra de Rossi) knows. 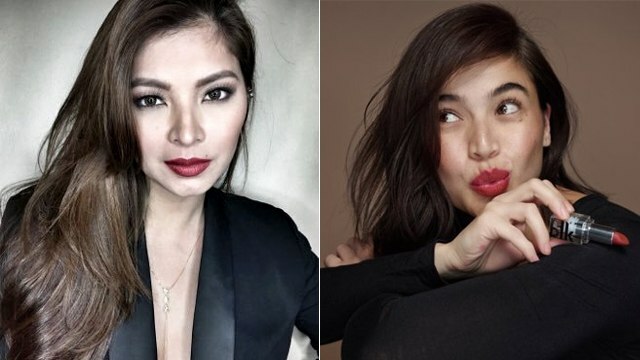 After she witnesses her fiancé’s infidelity, she gets into a temporary stress-induced blindness, and it is her neighbor Tonyo (Empoy Marquez) who helps her to see things in a different light. Maja Salvador and Paulo Avelino take on the roles of two college best friends that go on one last road trip before graduation—but settling their feelings for each other is suddenly put on the itinerary. Their love story isn’t entirely a love story, and combined with the fresh sights around the wonderful La Union, you’ll want to call your college buddies and plan your own soul-searching road trip. Beyond the city bustle of Taiwan’s city proper is Jiufen, a laid-back and slightly old-school small town that's home to two lovers who suddenly find that they don’t agree on something that determines their future: marriage. The co-stars of English Only, Please, Derek Ramsay and Jennylyn Mercado return to the silver screen with roles more mature to show the reality of a couple who wonder where to go from there. Have you ever dreamed of seeing the aurora borealis for yourself? If seeing it in person stays nothing but a dream, we can always live out our bucket-list fantasies through the film Northern Lights, starring Piolo Pascual, Yen Santos, and Raikko Mateo. We follow Charlie (Pascual) as he struggles to become a father to the estranged son he left back in the Philippines. An unconventional but delightfully quirky romance flick, Mr. and Mrs. Cruz follows the story of mistaken-for-husband-and-wife duo Raffy (JC Santos) and Gela (Ryza Cenon), who both take a much-needed vacation in Puerto Princesa. While the two find that they enjoy each other’s company and begin to fall in love, you’ll be swooning over the gorgeous Palawan scenery yourself. Released in early 2018, Meet Me in St. Gallen is a romantic comedy that follows the lives of two young adults (Bela Padilla, Carlo Aquino) who have a short fling in a coffee shop. Years later, they’re destined to meet again, and they pick up from where they left off—all the while surrounded by the stunning and dazzling Swiss sights that add to the romance.